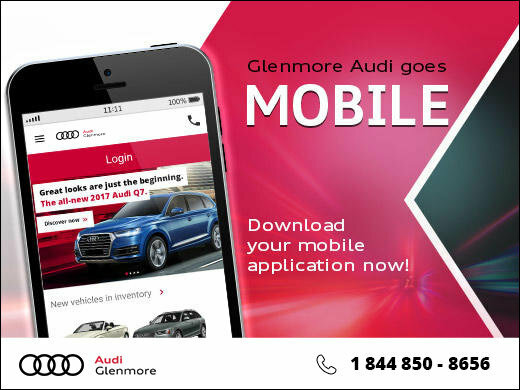 Home > News and Videos > News > Introducing Glenmore Audi's New Mobile App! With Glenmore Audi’s mobile app, you can create an individual profile and register your current vehicle to get quick and easy access to a wide variety of convenient features. Looking for a new ride? Search and compare our entire inventory of new and pre-owned vehicles from your smartphone, or request a trade-in appraisal and book a test drive no matter where you are. 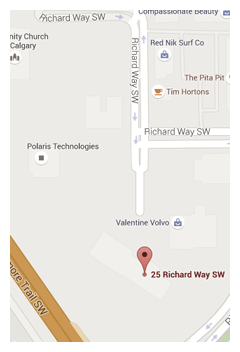 Using information from your personal profile – such as where you live, what make of vehicle you own, etc. – we can also send you exclusive promotional offers that are tailored to your interests! And don’t worry – we’ll never share your information with any third parties or advertisers. In case you find yourself in an accident or fender-bender, our new app can help you and your family get the assistance you need. Simply open the app on your smartphone or tablet, tap the assistance icon, and we’ll take care of the rest, directing you to your best option for quick and reliable roadside assistance. It’s just that easy! With a smartphone in your pocket, scheduling is now easier than ever – so why not use it to make sure that your vehicle is up to date on its maintenance! With Glenmore Audi’s mobile app, you can receive notifications on your phone to remind you about upcoming service appointments, scheduled maintenance and inspections. Something came up and you’ll no longer be able to make your appointment? Don’t sweat it – you’ll be able to manage, book, reschedule and cancel your appointments anytime, anywhere. With Glenmore Audi’s mobile app, keeping on top of your vehicle’s maintenance schedule has never been this easy. 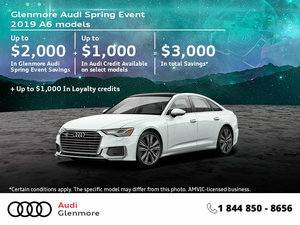 So if you’re looking for a high-quality new or used Audi vehicle, or if you have one already, download our new mobile app today, create your unique personal profile, and start taking advantage of our fantastic savings opportunities!